Live Every Moment, Laugh Every Day, Love Beyond Words Wall Decal Only $1.92! You are here: Home / Great Deals / Amazon Deals / Live Every Moment, Laugh Every Day, Love Beyond Words Wall Decal Only $1.92! This is such a nice version of this wall decal. I’m ready to put one of these in my grandchildrens’ rooms! 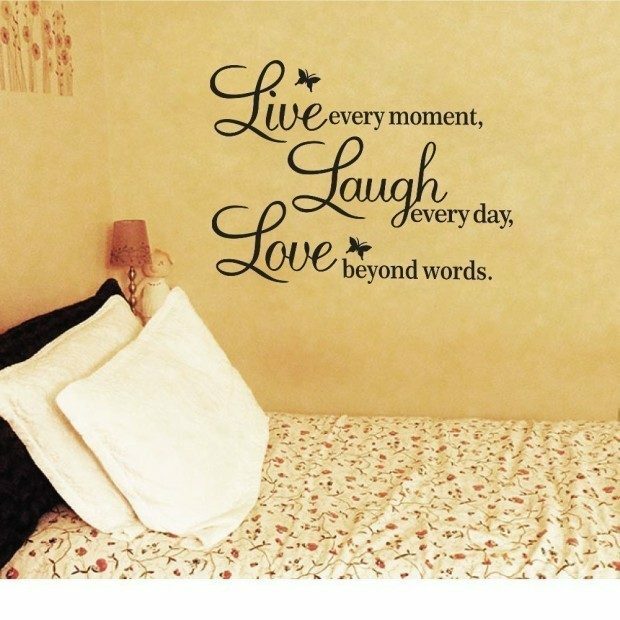 The Live Every Moment, Laugh Every Day, Love Beyond Words Wall Decal is Only $1.92, PLUS you get FREE shipping! This simple message is uplifting for everyone! Just got it for $1.39!! If you click on more buying options, you’ll see a list of other sellers & their price for the same item- this is where I often find a better deal. Love the decal! I’m so happy one of my favorite blogs sent me a link to get it!! Thank you!